The Atlanta Hawks needed a website that is ‘True to Atlanta’ and true to their forthcoming state-of-the-art stadium experience. 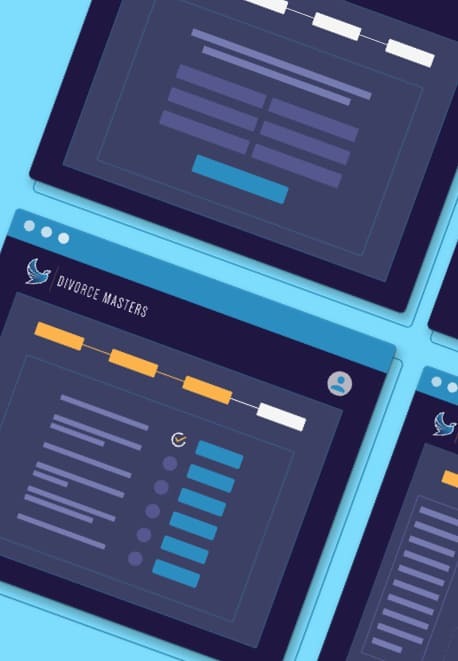 Through UX design, UI design, and custom website development, we are bringing them just that in the form of landing pages and a brand new website. 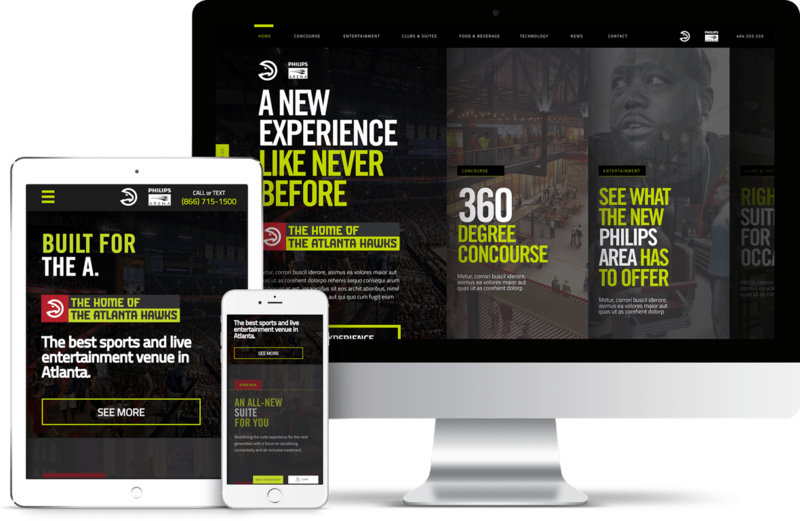 A completely new arena and fan experience demanded a completely new web presence to convey the beauty, sophistication, and function of the Hawks' new home. We created an interactive, horizontally-scrolling website that allows visitors to experience 360-degree views of the stadium and interact with its different areas as if they were standing, in person, right at center court. 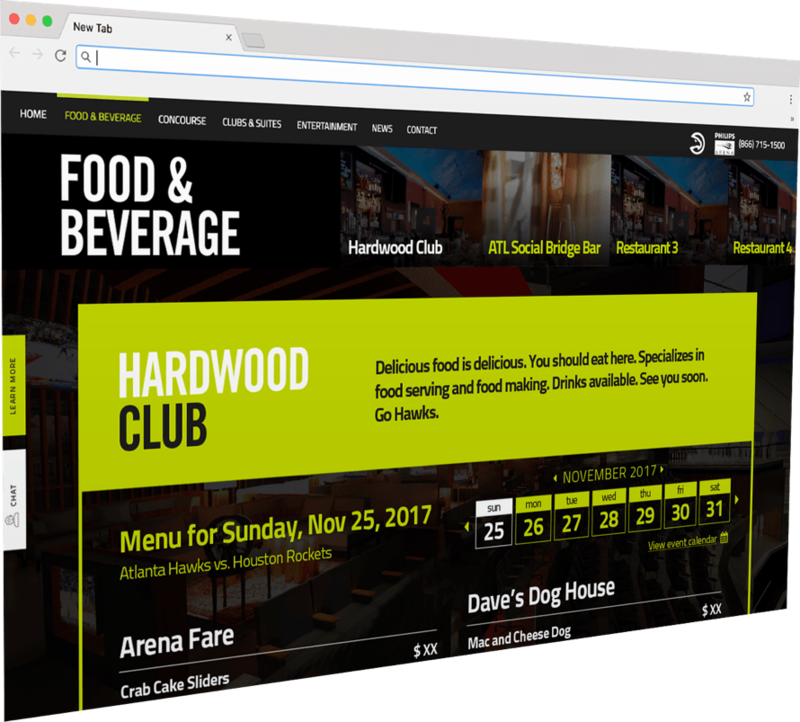 From interactive menus to video and 3D views, the Hawks' new site was designed to showcase the arena's industry-leading food, entertainment, and technology. 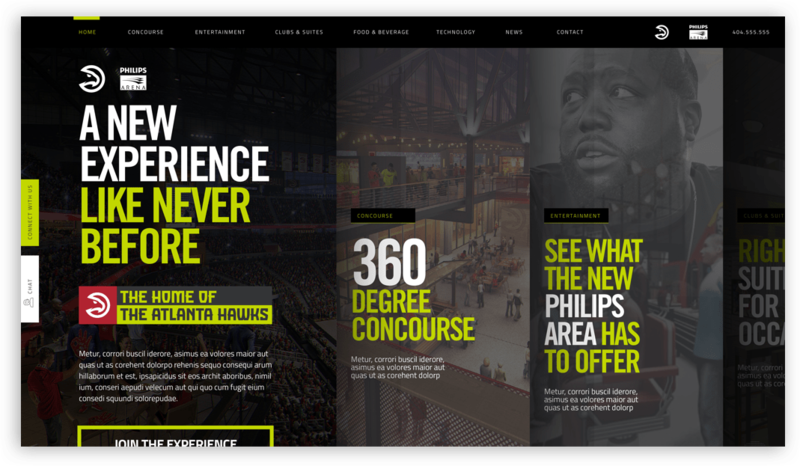 The Hawks have an established name on a national scale, so we had to be careful to design the site in a way that kept the brand true to Atlanta, while also showcasing the team's unprecedented new home to the entire NBA and beyond.